La Sapienza is the latest from Eugène Green, an American born, French filmmaker known for his highly theatrical, Bressonian films. 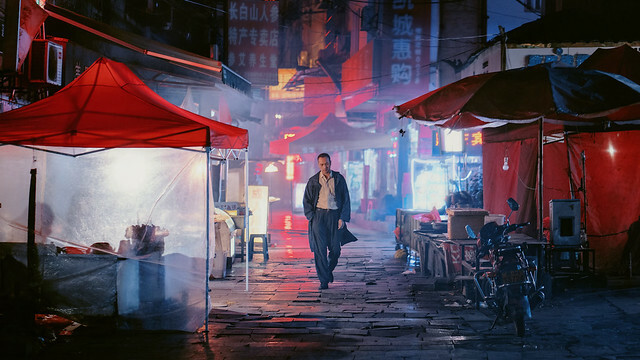 Highly esoteric, the film will undoubtedly turn off many viewers with its intentionally stilted acting where actors often address the audience directly. My first experience with Green film was Le pont des Arts, it concerned with the transcending power of music beyond time and space. I was too, put off by this aesthetic choice at first, but got used to it by the middle and ended up adoring the film. There are no Altmanesque, overlapping conversations like in real life in the world Green creates. Instead, people talk in their turns, medium shot/reverse medium shot back and forth in dead seriousness, in order to convey the weighty subjects concerning art, and this time, architecture. The thing is, the emphasis Green puts on dialog is tremendous and the idea he wants to get across is simple but always lofty. Green, from a theater background, saw the direct approach of the theater fit to convey these ideas and have been sticking with it in his filmmaking ever since. The method, I thought at first pretentious but slowly found less cluttered by the petty human emotions and other 'worldly' things, helps to get to the heart of the matter(s) directly. Ultimately, it's Green's dialog that brings back humanity down to earth and gives his films poignancy. La Sapienza stars Fabrizio Rongione (Two Days, One Night) as Alexandre Schmidt, a French architect tracing his steps of his idol, a Roman Baroque architect Borromini, starting in his picturesque birthplace Ticino. Alexandre has lost his ways as an architect, mired in corporate city planning which lacks humanity. He is joined by his estranged psychologist wife Aliénor (Christelle Prot) to accompany him at the conference. They grew apart some time even though they love each other. They run into two young Italian siblings Godfredo (Ludovico Succio) and Lavinia (Arianna Nastro) near the picturesque lake promenade. It's Lavinia's mysterious fainting spell that brings them together - kind-hearted Aliénor insists to be by Lavinia's bedside and suggests Alexandre to take Godfredo, a bright eyed aspiring architect, to accompany him for his research trip, instead of her. Alexandre begrudgingly accept the idea out of politeness. 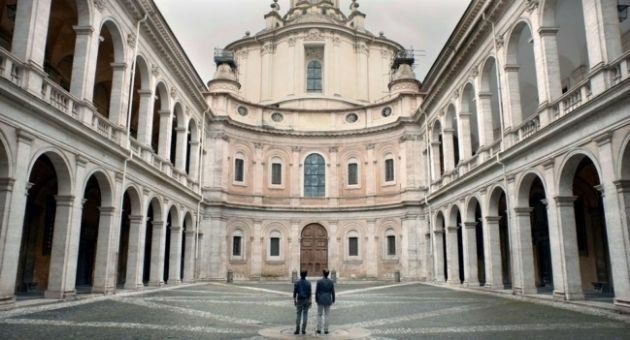 At this point film becomes two distinctive narratives: one in Italian with Alexandre and Godfredo on the road and mostly in French with Aliénor with Lavinia indoors.The guys establish teacher pupil relationship as they tour various Borromini designed, glorious buildings in different cities. But it turns out Godfredo is the teacher, reminding the old man with his youthful idealism that architecture can be one's passion, that purpose for architecture is to fill the space with light and people. As it turns out, through dialog, we find out Alexandre and Aliénor grew apart after a loss of a child. Young Lavinia's belief that her illness is some sort of sacrifice starts making sense to Aliénor. Uncharacteristically, Green himself makes a cameo in his own film for the first time as one of the last descendants of a tribe from Iran who spoke Aramaic. Even though their culture's gone and their language lost, he serves as a foreseer who reads stars and shows that there is hope for Aliénor, because she is loved. These lofty ideas - rekindling passion for life through the reflection on youth, the transcending power of art, the harmony in architecture and in life, the eternal nature of culture and language, things beyond beauty and knowledge, etc. are all delicately explored and examined through these four characters. Their sincere expression of these thoughts rings true and melts away its artificiality in its presentation soon enough. This is the beauty of La Sapienza and Green films in general. As the older couple realize, the source of beauty is love and the source of knowledge is light. I couldn't help but deeply moved by it by the end. La Sapienza opens in New York on 3/20 at Lincoln Plaza Cinema. National roll out will follow. For more info, please visit Kino Lorber website. Dustin, just a heads up: this is actually NOT the first time Eugene Green makes an appearance in one of his films - he plays the film director in his previous movie "The Portuguese Nun". I love Green's movies and your write-up of "La Sapienza" makes it sound even lovelier. Can't wait to watch it. Thanks for the info. I haven't seen Portuguese Nun. I guess I have to check it out now! Yeah, La Sapienza is just as lovely as Le Pont des Arts. Hope you get to see it soon!